On Thursday, quarterback Joe Flacco returned to practice after missing several weeks. Flacco injured his hip on the first drive in Baltimore’s loss to the Steelers on November 4. Flacco played through the injury, but it was apparent that the injury cut into his ability. During the week after the game, Flacco was spotted on crutches, and it was confirmed that his hip was seriously injured. The Ravens were quiet on when Flacco would be available to return and never gave a firm timetable, as not to tip their hand to an opponent. Now, 25 days later, Flacco returns to the football field, but where does this place him in depth chart moving forward? Since Flacco’s injury, rookie quarterback Lamar Jackson has commanded Baltimore’s offense. Jackson effectively managed the game in both starts. Jackson’s athletic abilities gave him great success in the run game, while he continued to be an unreliable passer. Jackson is not the entrenched starter, but he has won two games in a row. This makes him the “hot hand” despite the fact that he is not nearly as efficient as Flacco in the passing game. The Ravens saw a three-game losing streak under Flacco, which makes the argument to return to Flacco based on win probability difficult to make. Despite Jackson’s win streak and the growing hype for him in the fanbase, Flacco is still the better quarterback, and when healthy, should return as the starter. Both of Lamar Jackson’s wins, which he struggled in, were wins against bad defenses and bad teams. 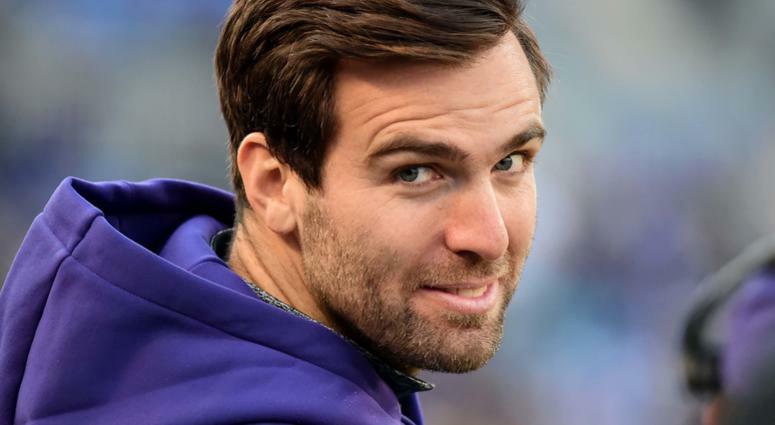 Jackson may be able to defeat the Falcons, a team with another subpar defense, and an underperforming offense, but the Ravens will eventually need to turn back to Flacco. If not against Atlanta, then the next week against Kansas City. The Chiefs’ high-powered offense is almost guaranteed to consistently put points on the scoreboard. The Ravens will need an offense to quickly match the Kansas City attack. Flacco gives Baltimore the best opportunity to get chunks of yards quickly, as his vertical passing ability is not something Lamar Jackson can match at this point in his young career.